Casting is a huge process in industries today. It is one of the oldest and most important process in any manufacturing firm. Understanding our clients’ requirement, Scintilla Alloys have come up with high quality metal casting units. We are rendering Aluminum Alloy Castings Service to our patrons. Due to prompt completion, our offered service is extremely admired in the market. Our service meets on client’s demand. Moreover, we render this service as per patron’s demand. 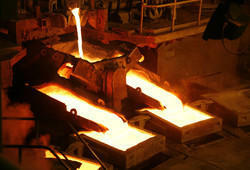 We are a renowned firm of Alloy Iron Casting Services. This service is handled by experts who have prosperous industry practice and expertise. These services are rendered with us at nominal costs. Due to high demand, we render this service as per client’s demand. A stainless steel foundry specializing primarily in duplex stainless and austenitic stainless steel. A leader amongst all other stainless steel foundries. 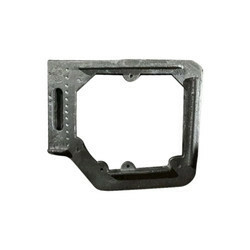 Iron & Alloy Cast Iron castings Service.